Brook House015394 44932work Guest HouseWelcome to Brook House - A Lakeland stone Victorian guest house built in 1892. Offering Bed & freshly cooked breakfast from our varied menu. 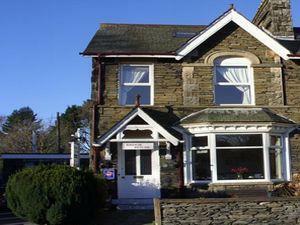 We have 5 bedrooms in total, 3 doubles, 1 family (1 double and 1 single) & 1 single. All rooms are en-suite (shower, wash basin and WC) also, rooms are serviced daily and include a Colour TV, Tea/Coffee facilities. There is a guests lounge and separate dining room where breakfast is served from 8.30-9am each morning. 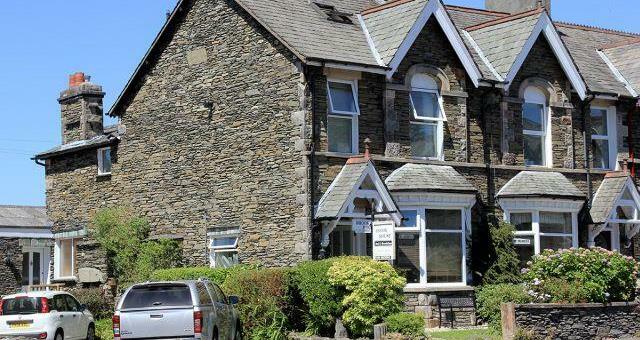 Brook House is in a quiet location near shops and restaurants, 10 mins walk from the train and bus stations, 20 mins walk to lake Windermere. Private car park at the side of the property for guests. Brook House sometimes limits bookings to 2 or more days. Children are accepted from 8 years. Full en suite room with wash basin, WC and shower in room. 2.Double sometimes limits bookings to 2 or more days. Family room, 1 double bed and 1 single bed. 3.Triple/Family sometimes limits bookings to 2 or more days. 4.Double sometimes limits bookings to 2 or more days. Hi there ... Thanks for the lovely review. Hope to see you back again at Brook House. If arriving on the A591 road take the turning to 'Windermere Town Centre' through the one-way system, pass the Post Office and pedestrian crossing. Ellerthwaite road is second left after the pedestrian crossing. Brook House is approx 200m along on the right, car park at the side.